Humidifiers protect your family and your Aspen or Vail, Colorado home from the unhealthy and damaging effects of over-dry air. A humidifier may be your solution if you have dry noses, cracked, itchy skin, or sore throats. Other signs of dry air are aggravated allergy and asthma symptoms, painful static shocks, chipping paint and plaster, splitting or cracked wood floors, furniture, trim and molding. A Whole-Home Humidifier is probably the solution. 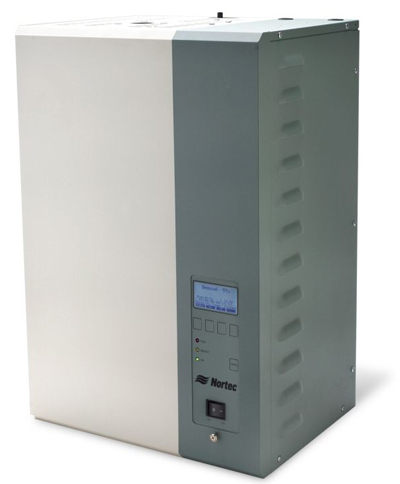 We sell humidification products from Aprilaire and Nortec. Turning your temperature up during the harsh Aspen winters will keep you warm but won’t increase your home’s humidity level. Daily activities such as showering, cooking and doing laundry don’t produce enough moisture to keep your home’s air from being too dry. According to medical experts, many viruses thrive in low humidity increasing the likelihood of catching colds, flu and upper respiratory ailments. The American Society of Otolaryngology even reports that it is important to prevent an overly dry environment because it makes people more susceptible to infection. Too much humidity can be as much of a problem as too little humidity. Unlike portable units the Aprilaire Whole-Home Humidifier continually monitors relative humidity levels in your home, then works to deliver the right amount of moisture —never too much or too little— to your entire house. Aprilaire Humidifiers don’t require the daily cleaning and disinfecting that many portable units require and you never need to worry about the risk of microbial organism growth due to standing water. | Your local Aspen & Vail humidifier expert! Our Nortec solutions are divided into 5 groups: electric, gas-fired, nozzles/evaporative, central steam, and steam distribution. Electric: The electrode steam system produces clean uncontaminated steam with variable output through electronic power control of the electrodes. Water borne minerals remain in the cylinder and are periodically flushed out through the automatic cylinder drain. Solid mineral scale sinks to the bottom of the cylinder which, when filled with residue, is easily removed and replaced. Gas-fired: The Nortec GS Series has a built-in modular stainless steel heat exchanger – its flat surfaces ensure easy cleaning and its proven design ensures reliable operation in all water conditions. The control system is powered by a 120V or 208-240V single phase electrical supply. Each humidifier is built to operate with a normal potable cold water source, RO (reverse osmosis), or DI (De-mineralized) water as a standard. Nozzles/Evaporative: Nortec AIRFOG nozzles use water and compressed air to create a fine mist, providing both humidification and cooling. AIRFOG systems are designed for direct room applications and are available as custom systems (AFE Nozzles), or pre-packaged units (Mini, Octo). Steam Distribution: Nortec’s best performing steam absorption system for use in Air Handling Units and duct systems where short steam absorption distance is critical. The SAM-e, Short Absorption Manifold, distributes clean steam, precisely controlled, uniformly into the air stream, and void of any condensate spray. Steam distribution takes place via distributor tubes with integrated nozzles which extend into the center of the distribution tube ensuring only condensate-free steam is released. Condensate drains out of the distribution tubes through the header, eliminating the need for jacketed tubes. A Mini SAM-e is also available for use in ducts with heights ranging from 8″ – 24″ (20.3 – 61.0 cm). Optional stainless steel air gap insulation can reduce energy losses by up to 70%, while ensuring efficient and hygienic operation.